A PERFECT WATERFRONT. 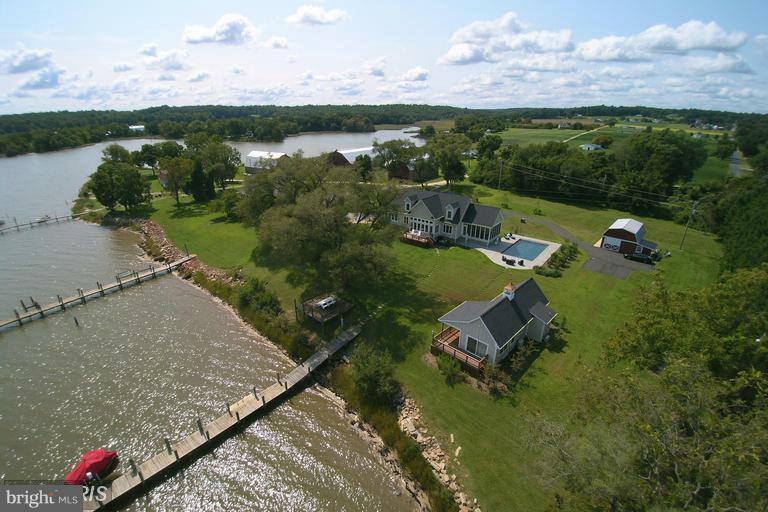 5BR/5BA main and guest on the Patuxent River, just an hour from DC/NoVA. Water vistas from most every room, private pier incl 2 lifts, kayak launch. Wood floors, huge porch. In-ground pool has a Pebble Fina finish, auto cover, heater-chiller! Landing at waters edge for crab feasts.High speed internet is on-board.The guesthouse has 1br/1ba, wood floors, full kit, waterfront too! Directions: Rt 5 to Golden Thompson Road. Right on Parlett Morgan Road which curves to the right at end. Make left at barns, to paved driveway on left.